Planning your next corporate function? Looking for your next breakfast or lunch? We provide full service catering – including bar service and rentals – for corporate meetings, company outings, anniversaries, and other special events. Our experienced and professional staff will deliver everything you need, arrange it beautifully and retrieve it all at a time that is convenient for you. Portland corporate catering services are that little extra touch of class that helps represent your company to business associates, clients and employees alike. 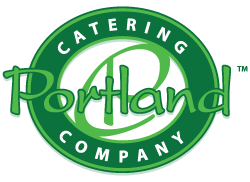 No matter what your corporate event calls for, call on Portland Catering Company™ to make it a success.